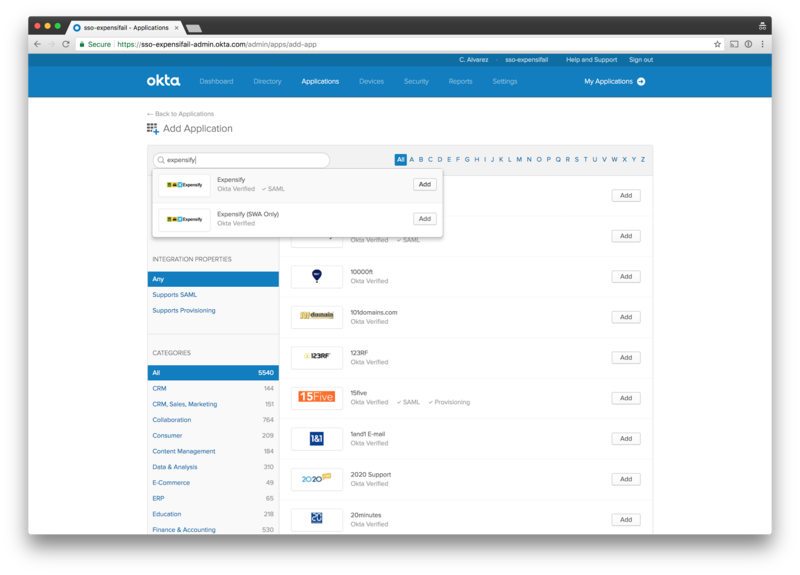 Companies with Okta can now deactivate users in Expensify using the Okta SCIM API. 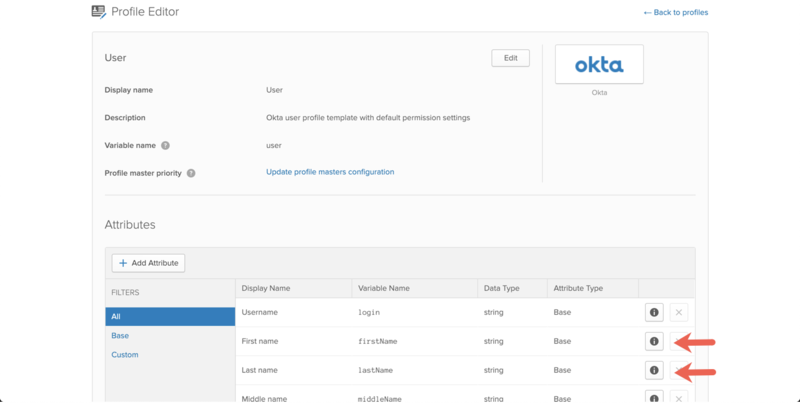 This means that when a user is deactivated in Okta their access to Expensify will expire and they will be logged out of both the web and mobile apps. This page takes you through the steps to enable this feature. 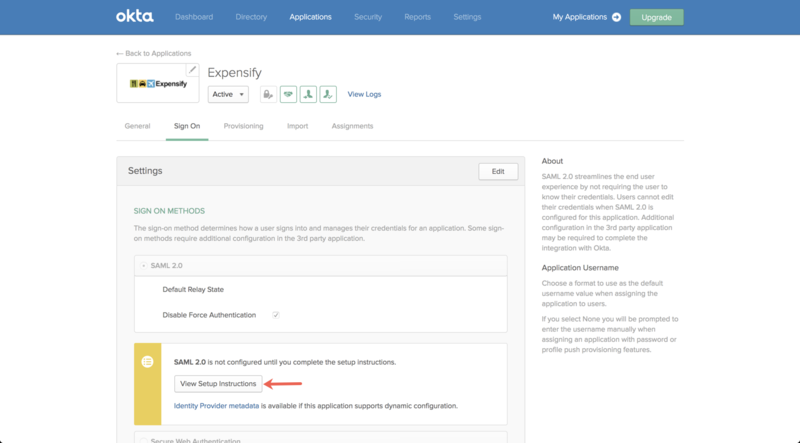 In Okta, go to to Admin > Applications > Expensify > Sign On > View Setup Instructions and follow the steps listed. 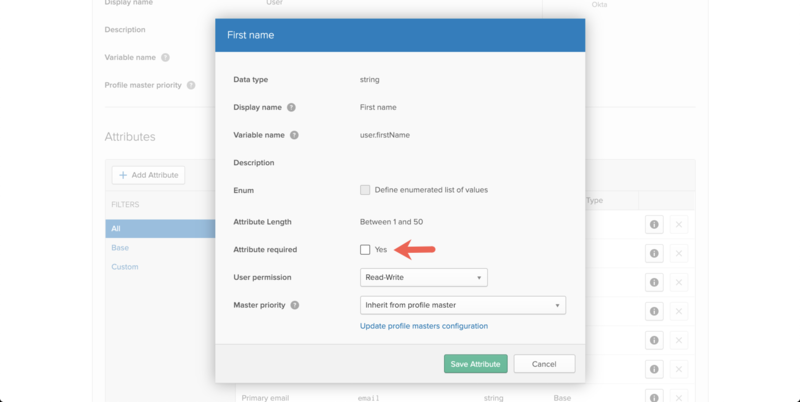 In Okta, go to Directory > Profile Editor > Okta user > Profile. Click the information bubble to the right of "First name" and "Last name" attributes. Uncheck "Yes" under "Attribute required" field and press "Save Attribute". 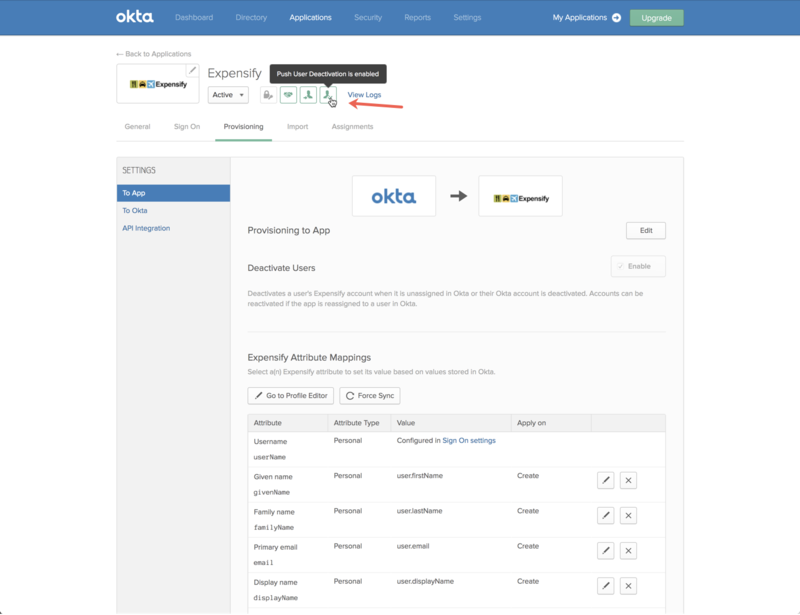 Email concierge@expensify.com providing your domain and request that Okta SCIM be enabled. You will receive a response when this has been actioned. 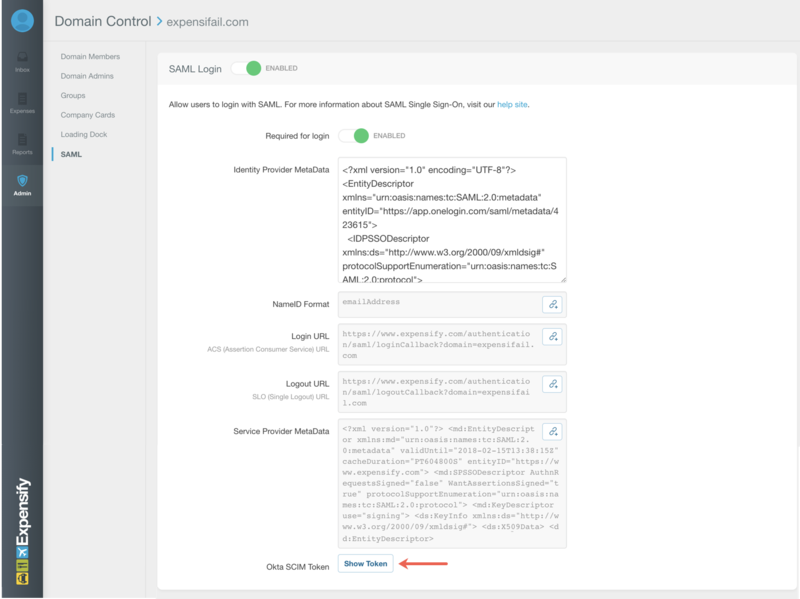 In Expensify, go to Domain Control > [Domain Name] > SAML > Show Token and copy the Okta SCIM Token. 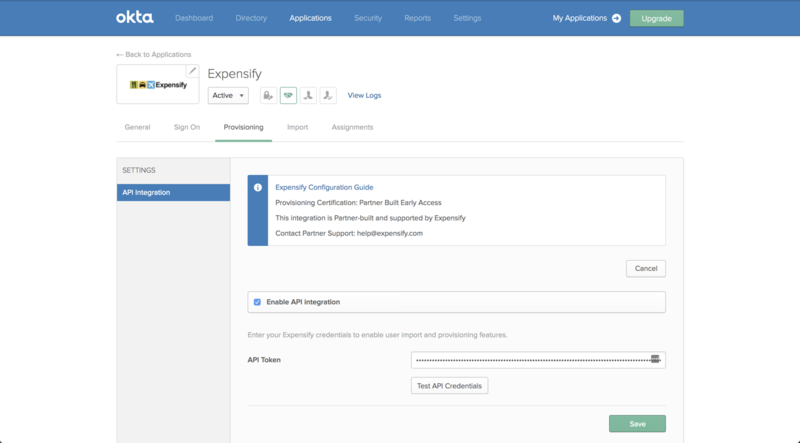 In Okta, go to Admin > Applications > Expensify > Provisioning > API Integration > Configure API Integration. 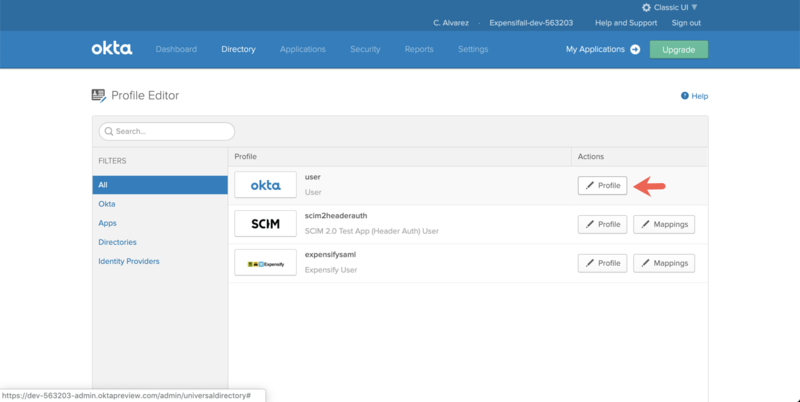 Select Enable API Integration, paste the Okta SCIM Token in API Token field and click Save. Go to To App, click Edit Provisioning Users, select Enable Deactivate Users and then Save. 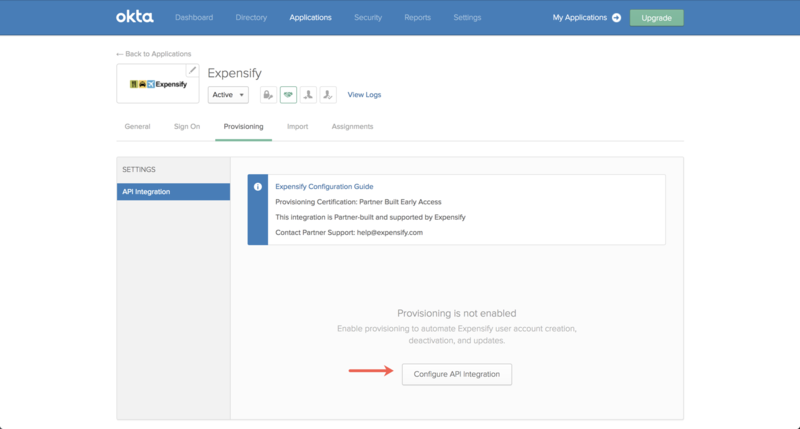 You may also need to set up the Expensify Attribute Mappings if you have not previously. Successful activation of this function will be indicated by the green Push User Deactivation is enabled icon at the top of the app page.